What's Christmas like in the Peace Garden State? This festive holiday board book introduces some fine North Dakota features--like 9 bison basking, 7 walleye wriggling, 6 cowboys crooning, and a meadowlark in an elm tree. 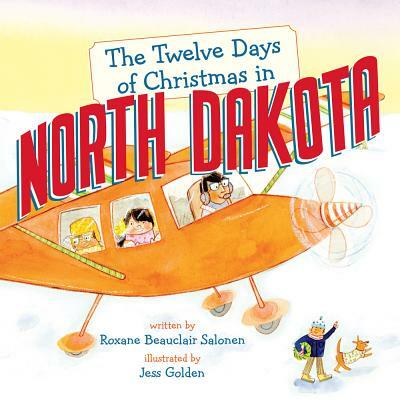 Roxane B. Salonen is the author of P Is for Peace Garden: A North Dakota Alphabet. She lives with her family in Fargo, ND. Jess Golden is a graduate of the Rhode Island School of Design. She lives in Boston, MA, with her husband and her dog.